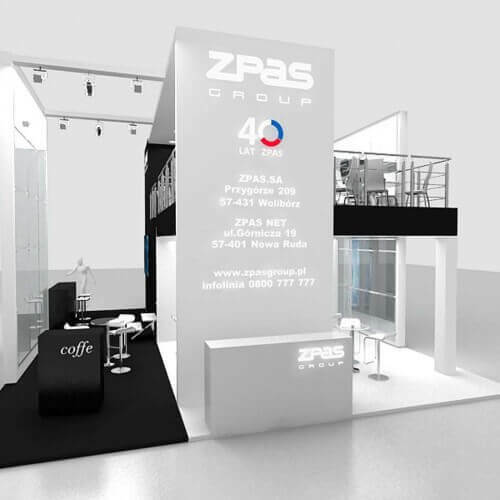 WE HAVE BEEN THE LEADER IN THE EXHIBITION INDUSTRY FOR OVER 20 YEARS. WE OPERATE IN POLAND AND ABROAD. OUR MOTTO IS "A SATISFIED CLIENT IS THE BEST BUSINESS STRATEGY". LONG EXPERIENCE, CREATIVITY AND RELIABILITY IS CONFIRMED BY NUMEROUS PRIZES AND RECOMMENDATIONS THAT ENABLE US TO BUILD PERMANENT BUSINESS RELATIONS WITH MULTIPLE COMPANIES. In creating the stand, we care primarily about its unique character. Before we go on to create visualizations, we learn about the specificity of your company in order to thoroughly understand the needs and draw the most advantages from its activity. A creative design team and fully equipped production facilities will meet the expectations of even the most demanding customers. We are here to take care of your success. We invite you to cooperation with us! Why should you choose stands from TARGO RENT? The use of appropriate technologies plays a huge role in the preparation of exhibition stands. 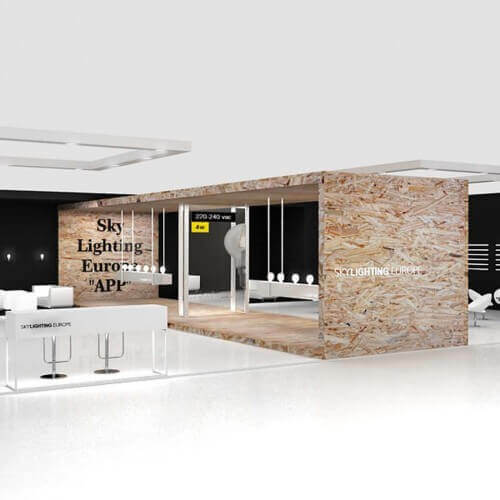 we use precisely selected toolsin our projects as well as proven technical solutions, thanks to which we are able to create original stands and solid exhibition facilities at domestic and international events. 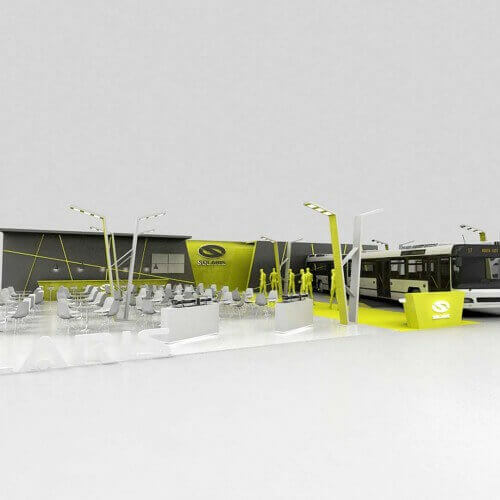 The use of modern systems allows us to design multi-level exhibition stands to the highest quality standards. 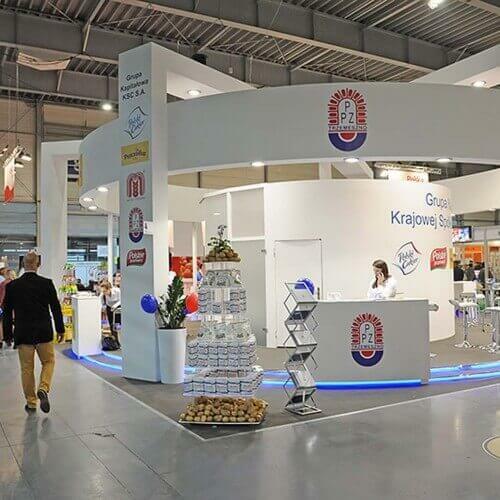 Stands constructed in this way positively influence the perception of the company, especially during international fairs. Our stands and fairgrounds are at the same time very economical, which means that by choosing us as partners in your project you get double return. By co-operating with targo rent, you select skills and knowledge primarily supported by over 20 years of experience. We are fully committed to every project and we take care to provide our clients with services optimized in terms of time and budget. 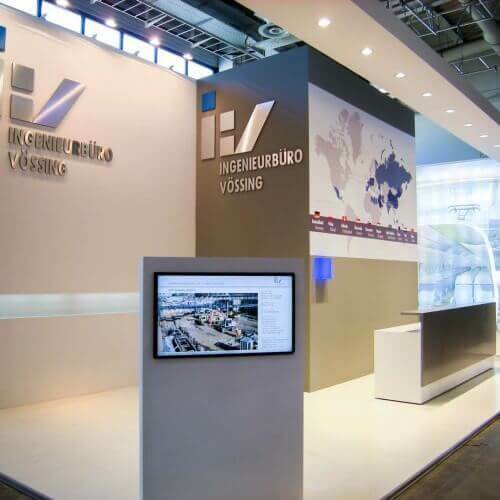 In addition to the design and construction of exhibition stands at events domestically and abroad, we help in the implementation of all formalities related to the presentation of the company at the fair.